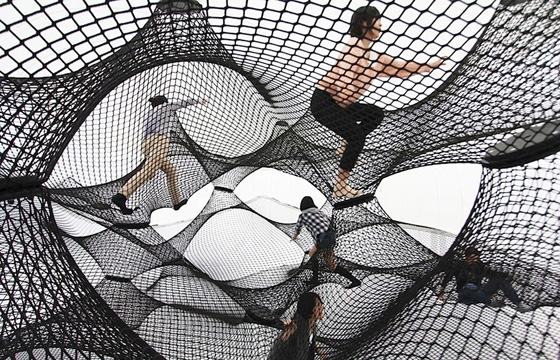 This inflatable 'net blow-up' structure is the work of Croatian-Austrian design collective Numen/For Use and was recently on display in Yokohama, Japan. The inflatable space is filled with black webs inside and invites visitors to climb around the space and bounce off the ceiling, walls and floor! It's like an adult bounce-house!